St Patrick’s Day 1960. 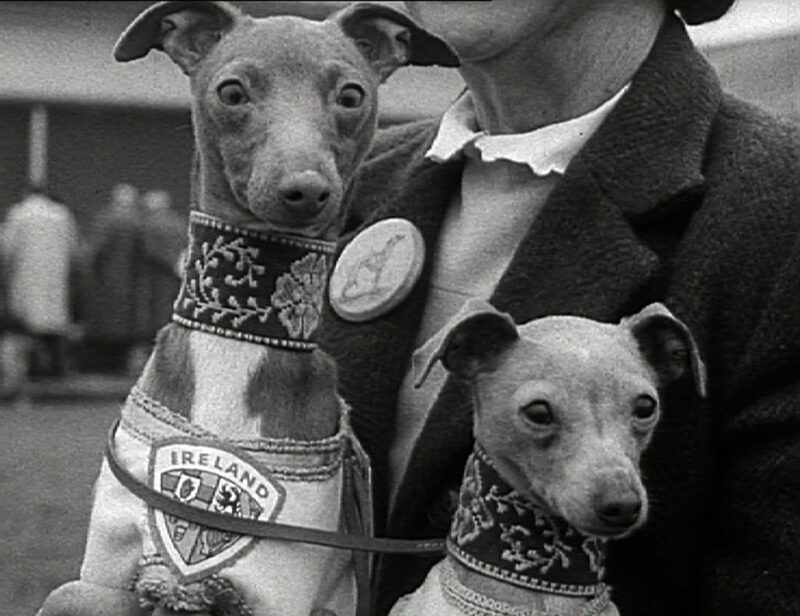 See the Industrial Parades and visit the Kennel Club Dog Show, the only place in Dublin where a drink could be got. 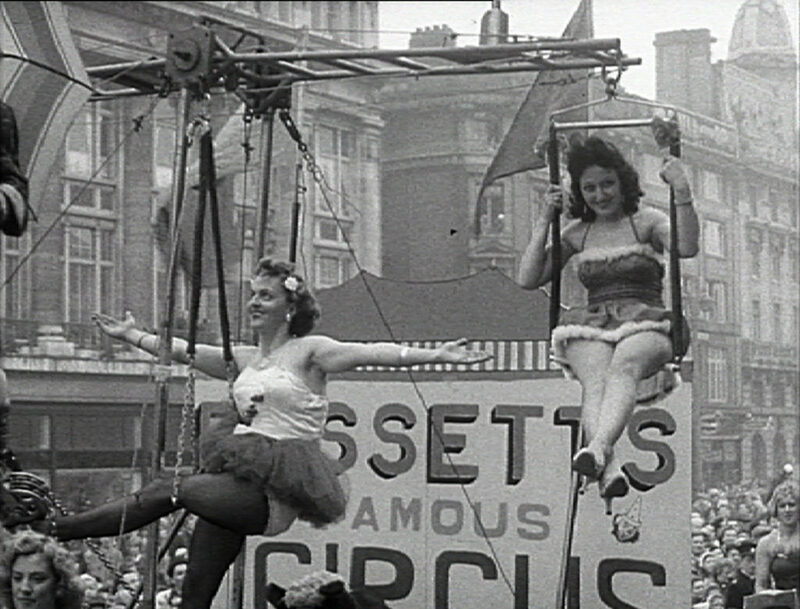 Songs of the Irish is a musical tableau of Irish-American entertainers intercut with footage of a New York St Patrick’s Day Parade. 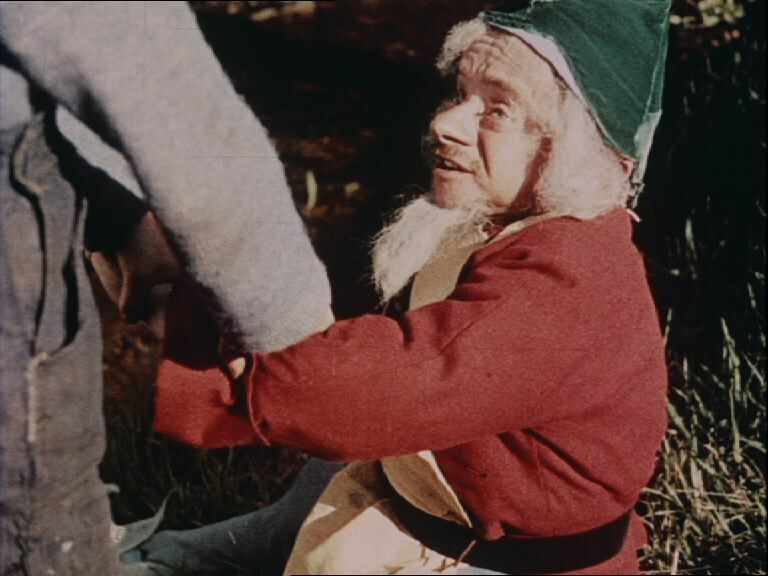 This quirky little film tells the tale of an orphan boy Shamus (John Francis Rooney), who grows a monkey’s tail when he steals a pot of gold belonging to an evil leprechaun (Tiny Littler). Shamus wanders woefully around the streets of Belfast before stowing away on a ship to Liverpool where he finds adventure and happiness. Tickets: €4.80 per person, €14.40 family ticket (2 adults + 2 children, 1 adult + 3 children).